Other Comments:Norwin and Tommy B is a sophisticated live Duo featuring two talented and experienced musicians, well versed in the art of entertainment. Keyboardist Norwin Mergler (“Mr. Keys”) also sings. Tommy B (“The Hornman”) performs on saxes, trumpet, flugelhorn and vocals. The Duo is totally self-contained, but can also be augmented to become a Trio or Quartet if a larger band is desired. 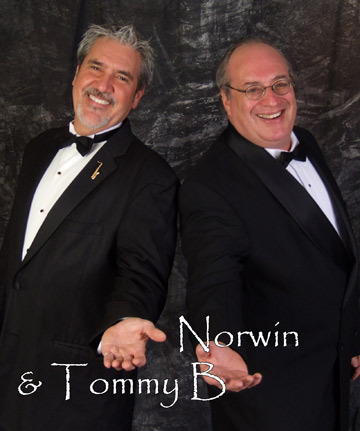 Cost-effective and versatile, Norwin and Tommy B play a variety of music styles that will enhance all aspects of your special event, from relaxing background jazz and Sinatra-era tunes for cocktails and dinner, to energized pop, blues and big band sounds for dancing guests of all ages.